What has made this building last? Can we leave things as they are? ‘The Rainbow’ unites the work of makers with voices from around the world that normally would have no contact with each other. By bringing this group together ‘The Rainbow’ strives to create a collective symbol of hope. 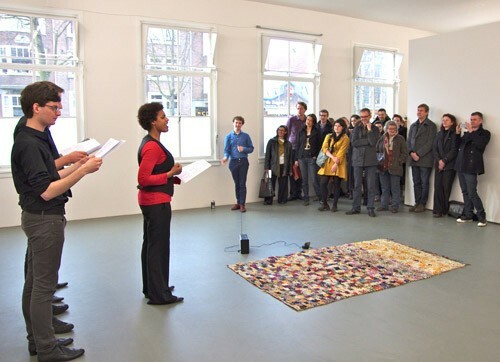 The exhibition was opened by a group of young singers singing ‘The Day After That’. Famously sung by Liza Minnelli in 1993, the song became a vital anthem of hope and action during the AIDS crisis. With the opening performance left as an ephemeral moment, the song’s message of readiness and hope continued to resound within the gallery. Liza Minnelli’s song was transmitted every 15 minutes via a radio placed on the gallery floor, the appearance and disappearance of the music and its words echoing the natural phenomena of the rainbow over time. Punctuated by calls for action and healing silences, the exhibition included words and offerings by others, brought together as a disparate community. To become part of ‘The Rainbow’ all the pieces had been through change. 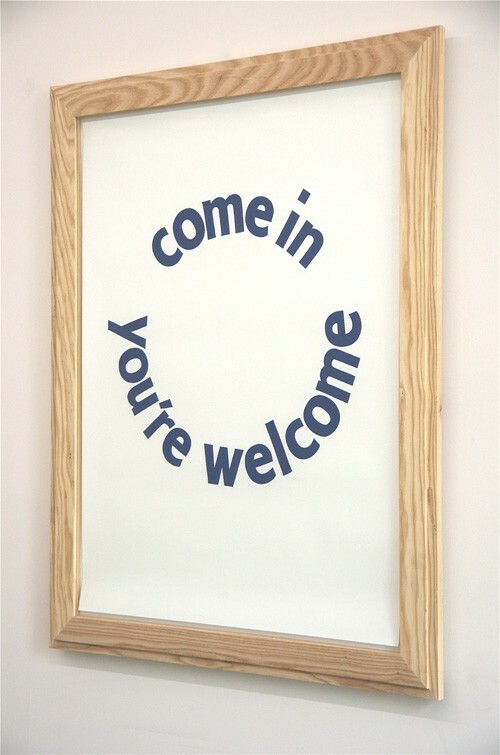 These included two posters created by David Andrews, a traditional hand poster maker from Sheffield, UK. The posters transformed words from a sermon by the American minister Jay Bakker and from a Quaker mission poster from 2009. Freed from their original contexts relating to gay marriage ( ‘I guess we are not ready for this yet, are we?’) and spiritual mission (‘Come in you’re welcome’), their words act as invitations to universal acceptance, readiness, and openness. 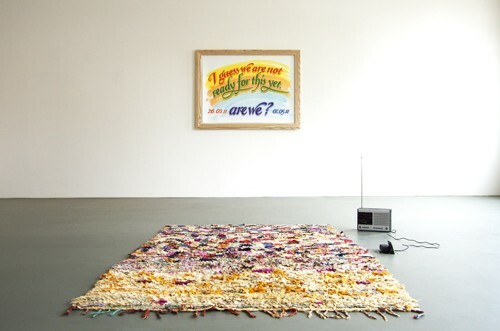 At the centre of the ‘The Rainbow’, next to the radio, lay a Moroccan rag rug, its date and maker unknown. Unique in colour and design and constructed from cast-off material, this centerpiece invited reflection on the possibilities of transformation for and by all people. 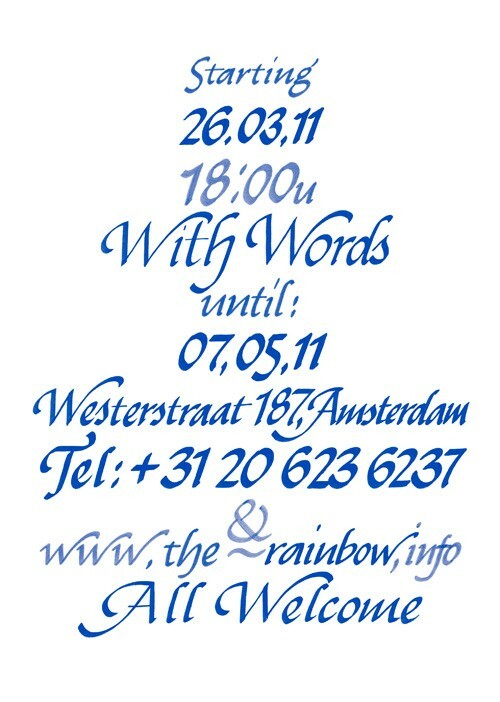 To start the community that formed 'The Rainbow', artists Sand Murray-Wassink (1974 USA) and Louwrien Wijers (1941) were invited to create texts that acted as press release for the exhibition.